Algoma Country is famous for many things within its boundaries of rugged wilderness. Examples include: pictographs created by native peoples that have survived for centuries (Agawa Rock in Lake Superior Provincial Park), Pancake Bay Provincial Park North America with 3.2 km (2 mi.) of sandy beach along Batchawana Bay, and the Wawa goose! Elliot Lake is famous for its Deer Trail Touring Route, which is 120 km (75 mi.) long and has a roughly triangular route around the town and offers unspoiled landscape and outdoor activities. This region has sites for history buffs including the Sault Ste. Marie Canadian Bushplane Heritage Centre and Fort St. Joseph National Historic Site which tells us stories from the War of 1812 outpost. Algoma Country accommodations include hotels, motels, resorts, bed and breakfasts and campgrounds. We are located close to the West Parry Sound District Museum. This Parry Sound hotel is minutes from the Bobby Orr Hall of Fame, the Charles W. Stockey Centre for the Performing Arts and Waubano Beach. Sunny Point Resort, Cottages & Inn features a large recreation centre, a children’s playground. Guest accommodation includes fireplaces and private patios. The suites offer a full kitchen or kitchenette, TV with DVD player and an en suite bath. Free Wi-Fi. Seguin Valley Golf Club and West Parry Sound District Museum are within a 23-minute drive of this property. 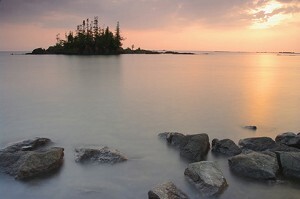 Located in downtown Parry Sound, Midtown Hotel is a 5-minute walk from Georgian Bay and Waubuno Beach‎. It features an on-site bar and rooms with free Wi-Fi, including a refrigerator, microwave, and coffee maker. Barbeque facilities are located on site. Central Helicopters is 2 km from the Parry Sound Midtown Hotel. Designed for business or pleasure, this Parry Sound Inn will exceed your expectations. Friendly staff, complimentary breakfast, free High Speed Internet, free local calling and business centre services. Fully accessible, non-smoking, pet friendly and with ample space for oversized vehicles and trailers. Located in Parry Sound city centre, this Best Rates Inn features rooms with free Wi-Fi and cable TV. A coffee maker and hair dryer are also standard in the rooms. Guests can have dinner in the restaurant or relax with a drink at the bar. The Best Rates Inn is 2 km from The New Parry Sound Mall. The Charles W. Stockey Centre & Bobby Orr Hall of Fame is a 13-minute walk from the property. This Parry Sound hotel is a 4-minute walk from the Island Queen Cruises of 30,000 Islands and Georgian Bay. The Bayside Inn serves a hot breakfast and offers free Wi-Fi. A flat-screen cable TV and mini-fridge are featured in every room. The Charles W. Stockey Centre & Bobby Orr Hall of Fame is within a 7-minute walk from the inn. The Island Queen Cruises of 30.000 Islands are just 5 minutes’ drive from this Parry Sound, Ontario hotel. Georgian Inn & Suites offers an indoor pool, hot tub and free Wi-Fi. Coffee-making facilities and cable TV are provided in every room. The Charles W. Stockey Centre & Bobby Orr Hall of Fame is a 5 minutes’ drive, the New Parry Sound Mall is just a 5 minutes’ walk away. With newly renovated rooms this hotel in Parry Sound has a pool, sauna, jacuzzi, squash courts and a trail for ATV and snowmobiling in the winter. We also serve breakfast as part of your stay and provide a clean, comfortable room. Our Sault Ste. Marie hotel provides amenities and like: free hot breakfast, free wireless high-speed Internet, free parking, 24-hour business center and pet-friendly. All guest rooms provide the best in convenience and relaxation, and include in-room amenities like cable television, voice mail, coffee makers, hair dryers, irons and ironing boards. Ground floor rooms have patio door. Our Sault Ste. Marie hotel has free wireless high-speed Internet and free hot buffet breakfast. We also offer an indoor pool, hot tub, sauna, exercise room and the very popular Award winning restaurant, Gliss Steak & Seafood. Guest rooms feature coffee makers, irons, ironing boards, cable television and voice mail. Near Agawa Canyon Tour Train. This motel in Sault Ste. Marie offers clean, spacious rooms feature in-room coffee, fridges, microwave, cable TV, wireless internet and air conditioning. All rooms feature walk-out to patio. There is an indoor pool & sauna and childrens play structure. Fully accessible and pet friendly. Small, quaint, family owned and operated lodging establishment offering "Quality, Value and Friendly Service" lodging in Sault Ste Marie. Park at your door, fridges, microwaves, coffee, air, DVD, Wifi and more. Check out our package rates on the links for Agawa Canyon Train Tour Packages, Tour of the Line Packages, Snow Train Packages and Searchmont Ski packages. Our Sault Ste. Marie motel has 31 large and spacious rooms each with High Speed Internet, fridge, in-room coffee maker, in room Free movies (Old, New, Kids and Adults). Close to restaurants, shopping malls and all other attractions. This motel is within a 6-minute drive of the Sault Sainte Marie Museum, Art Gallery of Algoma and Agawa Canyon Tour Train/Algoma Central Railway. This non-smoking and budget motel is conveniently located in Sault Ste. Marie. It has free Wi-Fi throughout the property and rooms with a cable TV. Air conditioning is included in all of the rooms and a mini fridge can be accommodated in some rooms. This hotel offering an indoor pool and a fitness centre, is located in Sault Ste. Marie. Free WiFi access is available and each room has cable TV, a microwave and a refrigerator. A continental breakfast is served each morning at the hotel restaurant. There is a hot tub and on-site parking is included. At our Sault Ste. Marie hotel enjoy features such as fitness centre, indoor heated salt water pool, hot tub and sauna. Located off the lobby is Greenhouse Spa, take time to relax and unwind with a wide variety of services: manicures, pedicures, facials and much more. Also: free hot breakfast, free wireless high-speed Internet access, free weekday newspaper, free local calls and free coffee. This newly renovated motel is located on Hwy 17 and only a 10 minute drive from downtown Sault Sainte Marie and the Sault Sainte Marie Golf Club. It offers free high speed internet, and parking at your door. Rooms feature a fridge, cable TV, coffeemaker, a work desk and air conditioning/heating. Pets allowed in designated rooms. Microwave available. On-site ice cream parlor. Our Sault Ste. Marie hotel features an indoor pool and a la carte restaurant. Free Wi-Fi internet access is provided, and a spa and health club are also on site. Rooms include a flat-screen cable TV with pay-per-view movies. There is also a coffee machine. Private bathrooms provide towels. Extras include a desk, linens and ironing facilities. There is a fitness centre. We are the winner of Wyndham Hotels prestigious Presidents Award, offers 63 deluxe rooms all equipped with microwave, refrigerator, coffee maker, DVD player, iron and board. Covered parking and high speed wireless internet access. Sauna, fitness centre and cafe. Centrally located in the heart of Sault Ste. Marie, 1 block from Agawa Canyon Tour Train. At this hotel in Sault Ste. Marie offered is a new, comfortable guest room, provided at a great value, with friendly service. Enjoy the complimentary breakfast, indoor pool, whirlpool, exercise room, business centre and FREE high-speed Internet access. The hotel offers king, two queen, and a variety of suite accommodations. Our refreshing waterfront location in Sault Ste. Marie is on the St. Mary's River. All our guestrooms are non-smoking offering free, high-speed Internet and full amenities. We offer premier conference facilities with experienced staff specializing in hosting corporate meetings and weddings. Our on site Bridge's Restaurant and Lounge offers a full menu for guests to enjoy. At this hotel in Sault Ste. Marie guests can start their day right with free breakfast or a cup of coffee in your room. Perks like free WiFi and an onsite gym help you relax and recharge. Our hotel offers accessible rooms and pet-friendly rooms. In our nicely fully renovated rooms in Wawa Ontario, you have opportunity to enjoy complementary coffee, High Speed Internet, microwave and more. We are located right on Trans Canada Highway surrounded by wilderness close to restaurants, gas bars, beaches, golf course. Nestled in a scenic valley of pine and birch trees just outside central Wawa, High Falls Motel and Cabins offers an ideal accommodation whether you are vacationing in the region or just passing through. Our cabins, built with a vertical log construction method, provide a traditional Canadian log-cabin experience with all the amenities of modern accommodations.